Hey friends! Hope you had a nice weekend. I can hardly believe it but we actually had SNOW at our house yesterday. Not much, but enough that it dusted the ground, cars and rooftops. Come on spring, enough with the cold and snow. Sun and spring flowers only. Thank you. 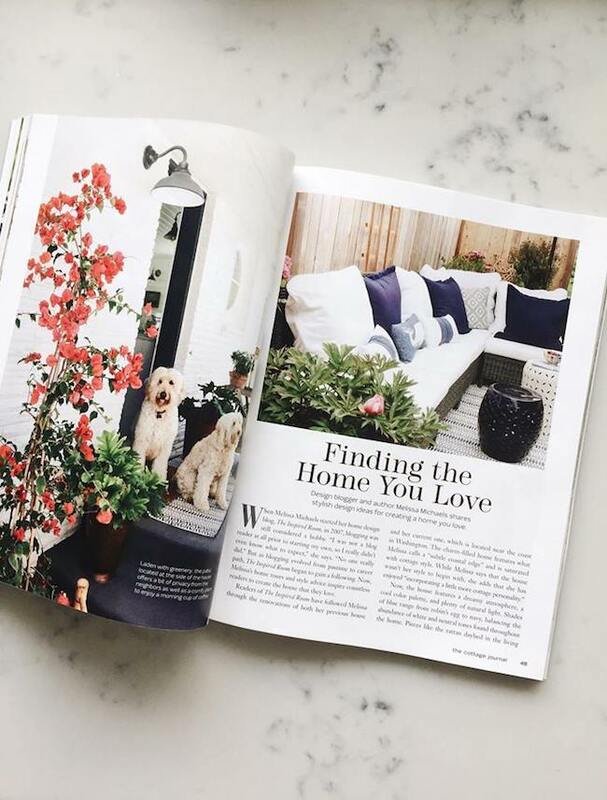 I just wanted to let you know this fun news today–my house is in an eight page feature in the spring edition of The Cottage Journal! I’m so excited and honored to be included. I’ve always loved this magazine. There is a great article in it, too! I think this might actually be the first time Jack and Lily have appeared in a magazine, so of course they are quite proud (haha). When Better Homes & Gardens came out to photograph our last home many years ago, I hoped they would take a picture of Jack in our kitchen, but they didn’t seem to want to. I remember so many people messaged me to ask why Jack wasn’t in the magazine! HA! Poor Jack. They did photograph Lily, however. She was just a wee puppy back then. Sadly the photos with her didn’t make it to the magazine. I still keep hoping that someday those images will appear somewhere! But, I’m so happy that the pups made it into The Cottage Journal. 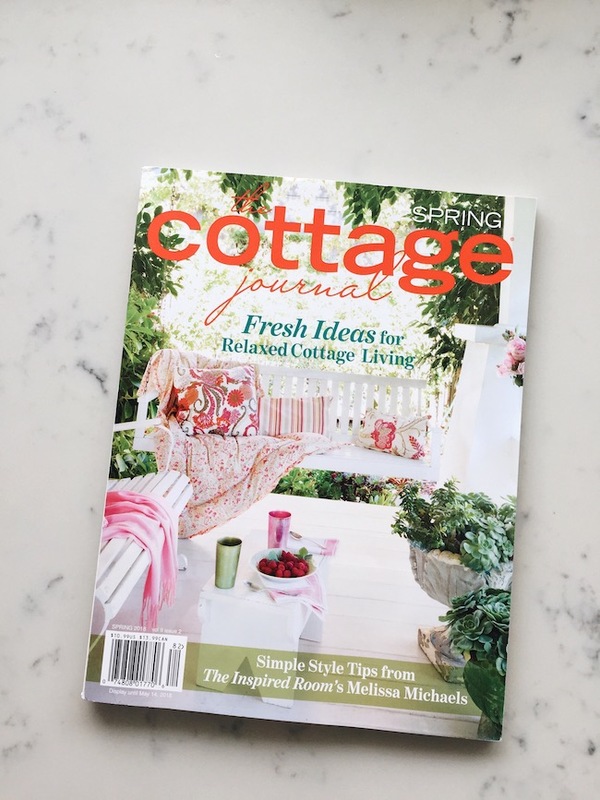 Anyway, I know many of you have mentioned seeing this issue of The Cottage Journal because you subscribe to the magazine, but if you aren’t a subscriber, you might want to look for the Spring issue in a store near you (someone said it might be at Costco). It can also be ordered online here. Congratulations, Melissa!! I’ll go to Barnes & Noble to get a copy. Looks like a good spread! Where did you find those beautiful botanical framed prints hanging by your door? 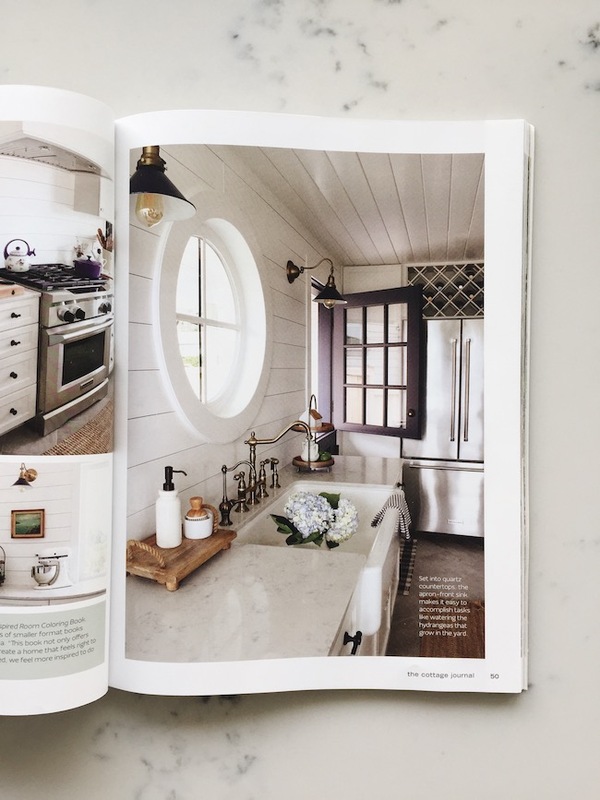 I am remodeling our kitchen and I just love your faucet on page 50 in Country Journal. I was hoping you would tell me the metal and finishyou chose. Is it a Danze Opulence? The sources for the kitchen are listed here! Below is the reveal post of the kitchen remodel!